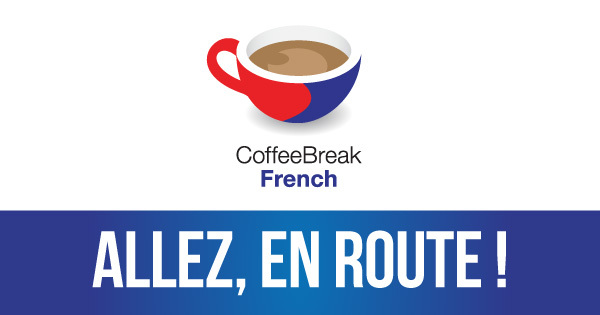 In this special edition of Coffee Break French, Mark announces the new series in which you can join the Coffee Break French team, “en route”. Listen to a sneak preview of some of the many interviews with native speakers and learn more about the forthcoming series. This episode is the first of two special announcements from Coffee Break French. Stay tuned for the next announcement, coming soon. Use the audio player to listen to the lesson, or subscribe in iTunes to receive this lesson and all future lessons automatically. If you can’t see the player below, click here to access the lesson. Did I miss the release of en route? I can’t seem to find it. Also, when will season 5 french be released? Hi Connie. We’ll be announcing details of En Route very soon. Hi, I’m very excited for this new series! Is there an update on when it will come out (as well as the Season 5 of CBF)? Hi Ray. Stay tuned and we’ll have some news for you very soon! I am very excited to listen to this podcast. But, can’t it be downloaded? You can download all available episodes of En Route through any podcast app. Hope that helps. Can we cannot access the transcript for these audios?? Apologies for the slow reply – we’ve been updating the site. You can access the transcripts and much more in the premium course of EN Route on the Coffee Break Academy: https://coffeebreakacademy.com/p/en-route-avec-coffee-break-french-season-1.